It is a rare individual who becomes successful without help. 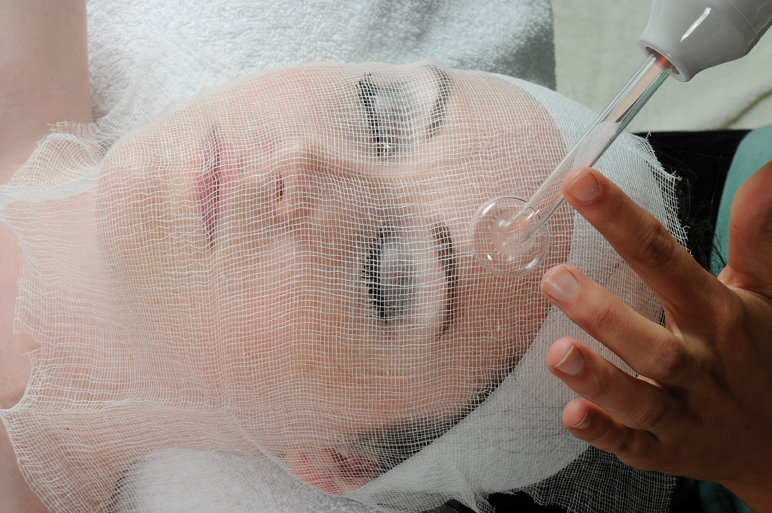 I am an aesthetician and laser technician who has been in the industry for nearly 17 years. Throughout my entire career, I have experienced the importance of networking with other skin care professionals. I began to network while still in aesthetic school, leading to a job offer, before I even got my license. At this stage in my career, I still appreciate being able to call or text other skin care professionals for advice. We should be networking throughout our careers. Networking with other industry professionals works to improve the industry as a whole. It is not always what you know, but who you know! Networking with other skin care professionals is the best way to learn of employment opportunities and possibly gain an introduction, or even a recommendation. This is also true for those looking to hire. A few years ago I was involved in a private aesthetic group, and one of the biggest topics that came up in the forums had to do with compensation and benefits. It is natural to not want to discuss our exact income, but when we open up about pay structure and benefits, we help each other to negotiate a better income and benefits package. It behooves us all to raise the standard income for our industry. According to the BLS, skin care specialists made a median salary of $29,050 in 2014. The highest-paid 10 percent in the profession earned $58,880, while the lowest-paid earned $17,680 that year. Adding new equipment, treatments, and product lines can be risky business. Vendor reps are in the business of selling their product, not giving impartial advice. Receiving input from others in the industry is invaluable. Anytime we are looking to add something new, I call other aestheticians that use that particular product or device, and gather their thoughts on it. This type of networking empowers us as aestheticians, in the same way online reviews empower consumers. Vendors will work harder to take care of us if they realize the value of our opinion among peers. Networking has helped me to learn more about products, new treatments, and treatment protocols. I have learned about regulation changes in my state, as well as regulation differences in other states. I have also inquired about upcoming events, trade shows, training workshops, seminars, and on-line training. Smart people surround themselves with smarter people. I don’t care how experienced, educated, or smart you think you are, you can always learn from an alternate perspective. Sometimes we have blind spots or get lost in our own ideas. In our industry, there is always a new study, a new treatment, new protocol, or new information, and it is impossible for anyone to know everything. I have attended many classes and workshops over the years and I ALWAYS find that someone will pick up on something I missed, and vise versa. If I attend a class, I will share what I have learned, and my aesthetician friends will share with me what they learned at another class. This sharing of information has been very helpful. 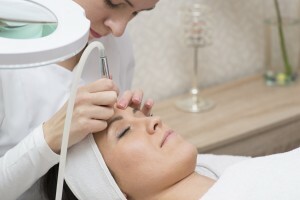 Even the best aesthetician or laser technician will encounter a complication at some point and someone else may know just the solution to your problem. Even things like a challenging client or issues with co-workers can benefit from another perspective. None of us offer every service, or are experienced with every specific need. We all have our talents and limitations. Sometimes we are limited by our tools, and sometimes by our experience or training. Sometimes, we are even limited by location. I have had clients who have moved out of state, and they want to know if I can recommend someone. It is our job to do what best serves our client, even if it means referring them to someone else. Doctors commonly refer patients to other doctors, even within their own specialty. Why should any of us have such an ego that we elect not to refer a client to another aesthetician, if we cannot provide what that client needs? If it is not ego, it is fear. We are fearful someone will steal our clients. It is shameful that we cannot trust each other. Are we all a bunch of thieves and back stabbing cheats? I don’t think so! It is possible to refer your clients to another aesthetician for a specific service or product and have them return to you as a regular client. 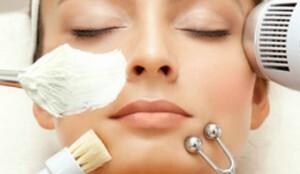 I have a network of aestheticians that refer clients to me if I provide a service which they do not. If I know that a client was sent to me from another aesthetician, I will always speak well of who ever referred them. I will not try to steal that client, or sell them services, that I know the referring aesthetician can provide. I do this because I want that aesthetician to continue to refer clients to me. I also want to be able to refer clients to these aestheticians and trust they will not “bad mouth” me, or steal my client. We have established a mutual trust and respect for each other. Plus, it’s the right thing to do! Never pull a robbery when someone has trusted you with a referral. Having friends to trade services with and make you pretty is an industry benefit. Having friends with common interests makes life better. Having friends in the industry makes your work more fun and feel less like work. Having friends that you can learn from and trust makes you a better aesthetician. I recommend to start networking with people you already know in the industry, and branch out from there. You can network with vendor reps, educators, aesthetic providers (such as doctors and nurses), and obviously other aestheticians. Trade shows, training workshops, and seminars are all great networking opportunities. You can use social networking sites to find a local group. There are aesthetic groups and forums online, of which I will share a few links below. If you have found a networking group that you recommend, please share in the comments below. It’s been all over the news, I am referring to the Esthetician who gave her eight year old daughter injections of Botox to treat “wrinkles”. She was motivated to do this to help give her daughter an advantage in pageants. As a mother and an Esthetician myself, I wanted to share my thoughts on this crazy story. It has already been said that she is sending the wrong message to her daughter. Lets face it, that message began with putting an eight year old in a beauty pageant. Why Does An Eight Year Old Want Botox? There has been discussion about why an eight year old would ask for Botox in the first place. As an Esthetician I can tell you that at that same age my son knew about many of the things we offer in the beauty industry, just from hearing me talk about it. I even remember him telling me that his teacher needed a blue peel, but for the most part he had no interest in esthetic treatments. I am sure that girls would naturally have a little more interest in esthetic and cosmetic treatments than boys, but certainly not anti-aging treatments. Just to state the obvious… children do not have wrinkles! The mother of the little girl is an Esthetician and claims it was her daughter that asked for Botox. As a mother and an Esthetician, I do not see how that justifies her actually injecting her daughter with Botox. My son once asked me to remove his cow lick with laser hair removal. I obviously refused and explained to him that although it would permanently rid him of his cow-lick, he would be left with a bald spot on the back of his head. He said, he would rather have a bald spot than a cow-lick. I promised him that he would feel differently later, and then changed the discussion to the pain involved. Now that he is a teenager, I know he is glad I didn’t honor his request. My first point is that children do not know what is best for them, thats why they have parents. My second point is, Estheticians have a professional responsibility, to educate clients about the benefits and risks of a treatment. The little girl said she didn’t like wrinkles. Okay… that is fair, I don’t exactly like them either. I am going to be completely hypothetical for a moment, because I am obviously not in the business of treating or consulting children for cosmetic treatments. If I was consulting with this little girl, I would point out that she doesn’t have wrinkles and I would explain to her that children have a lot of collagen and elastin and that their skin cells turn over very fast. I would also explain that the facial muscles only become strong enough to create lines and wrinkles after many years and she could reconsider Botox in about 20 years. I would teach her that the best way to prevent wrinkles is to use a good sunblock every day. Other things she should do, is eat a healthy diet with a lot of fruits and vegetables, drink plenty of water, get enough sleep and exercise and never start smoking. I might even teach her how to properly cleanse her face, but thats about it. It is irresponsible as a skin professional to provide skin treatments that are unnecessary to anyone. I have to assume that either this esthetician doesn’t understand how the skin functions or has poor ethical and professional standards (or both). She is also working outside the scope of an Esthetic License, the only way she can inject Botox is under the direct supervision of a doctor, in which case the doctor can be held responsible for her actions. 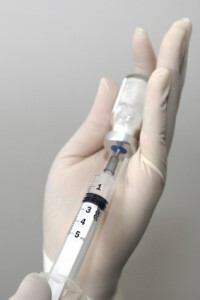 She stated that she does the injections her self, and purchases the Botox online. FYI- the internet is not a trusted source. After careful consideration, I am awarding this mom with the title of ” Worst Esthetician Ever”. I am annoyed that this ridiculous story gives a bad reputation to Estheticians and Botox. The truth is there are “bad” Estheticians, which is why it is so important to find an Esthetician that excels in the field. I have to advocate for Botox, by saying that it is only intended for cosmetic use in consenting adults and in children to treat specifically indicated medical conditions, but not for cosmetic purpose. Botox is only sold to approved doctors, the woman in this case claims to have purchased it on line. As I have said many times before, just because you can buy something on the internet doesn’t mean you should.